Roth IRA conversions are totally different from a rollover. 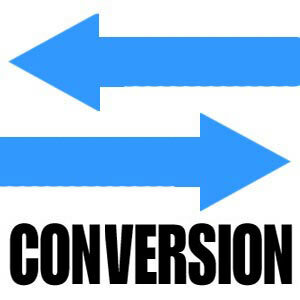 But the process of conversions is just like a 401k rollover to a Traditional IRA. Many taxpayers and Individual Retirement Account holders are able to convert their Traditional IRAs to Roth IRAs ever since Roth IRAs were created in 1998. There are plenty of IRA rules that must be followed, and getting ourselves familiar with such will truly help a lot. When it comes to IRA conversions, we must know what the IRA conversions rules are before making any decision about converting one IRA plan to another. Conversion of traditional IRA to Roth IRA is as easy and simple as filling out the necessary forms and submitting the same to the Roth IRA provider. We all know that the Roth IRA differs from a Traditional IRA in various and crucial ways, as the Roth IRA rules are also different from the rules of Traditional IRA. With a Roth IRA, an investor does not get a tax deduction for making a contribution, however, these contributions have the capability to grow tax-free each year and Roth IRA holders do not have to pay tax upon withdrawal in retirement, considering these withdrawals are qualified withdrawals, which must be in accordance to the Roth IRA withdrawal rules. In addition, Roth IRAs do not have a forced distribution like that of Traditional IRA, and they are not subject to minimum distribution amount that traditional IRAs are, thus the investors are not mandated to make withdrawals from their Roth IRA at the age of 70 and 1/2. Thus, converting from Traditional IRA to a Roth IRA is believed to be the wiser thing to do, and this conversion must also follow certain Roth IRA conversion rules. Once a Traditional IRA is converted to a Roth IRA, certain taxes will be due because Traditional IRA holders get a get a tax deduction on his initial contributions, thus it is just logical to be required to pay the taxes that are due on those initial contributions and any growth in the IRA. The conversion tax bill also depends on a number of other factors, including the account holder’s income, his federal tax bracket, and even his state tax rate. Some financial experts say that Roth IRA conversions do not really work for every one. The tax situation of the investor in the year of conversion must be taken into consideration versus what it might be in retirement. If a person expects to belong to a higher tax bracket in the future, the a conversion will be a great idea. Thus, it’s just logical to say the Roth IRA conversion will truly make sense for those younger investors and taxpayers who will have their income grow over time. During 2012 I will have to meet the RMD rules when becoming 70 1/2 in July. Does it make sense (or is it possible) to open a Roth IRA with those funds? i believe the rmd funds have to go into a brokerage account but apart from the rmd from your ira you can contribute to a roth . . . tax due on both as you know. better confirm with your tax dude.